Brief Spoilers from the Preacher pilot are in this article. We’ve been hearing about Seth Rogen and Evan Goldberg’s upcoming Preacher series on AMC for quite some time. With Preacher set to premiere at the end of this month, we’ve already seen footage and know quite a bit about the series, including a sideplot in the pilot revolving around the death of Tom Cruise at a Scientology event. Apparently, those in Tom Cruise’s camp are not particularly happy about the gag, and now we know the joke that upset them. After Preacher screened at SXSW, many who saw the episode brought up the Tom Cruise-oriented part of the pilot. The brief backstory you need to understand the Tom Cruise joke is that the overall plot notes that preachers have been are blowing up, thanks to a “mysterious force” coming in from outer space, per EW. 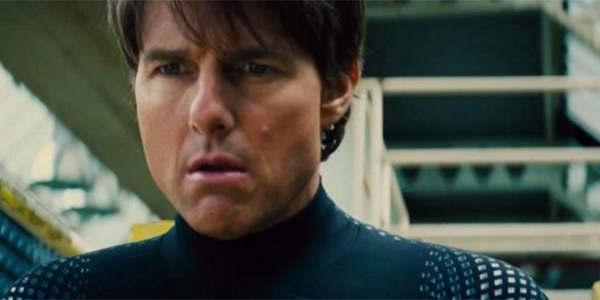 During one memorable scene, Tom Cruise is apparently affected by the force from outer space. He, too, blows up, and a news report catches the event. We might have got a call from his camp just kind of asking what the story was. I’m not sure how that wrapped itself up. This wouldn’t be the first time that Tom Cruise—or at least the people he surrounds himself with—were upset about a piece of TV content poking fun at the actor. There was also controversy around a Scientology-oriented episode of South Park that aired a decade ago and featured Tom Cruise. And the Scientology church itself often bashes any entertainment projects that might put Scientology in a negative light. Thus, even in the context of a joke in an AMC series, it’s no surprise the show got an earful from someone near and dear to Scientology. A lot of people have already seen the Preacher pilot at this point, so I would guess the series won't cave under pressure and simply remove the joke to appease Tom Cruise’s hovering entourage. In fact, it’s all of these Preacher screenings and the reports of the Tom Cruise joke that probably alerted the actor’s people in the first place. Still, Rogen also admitted that he would rather not have to deal with issues regarding other celebrities. I’m a coward. I try to avoid those kind of things at all costs. Preacher is set to hit AMC’s schedule on May 22, and we’ll be keeping a close eye out for the Tom Cruise blowing up scene. If it’s missing, now you know why. In addition, while we wait for Preacher to start airing after Fear the Walking Dead on Sunday nights, you can check out what else TV has coming up with our summer TV premiere schedule.